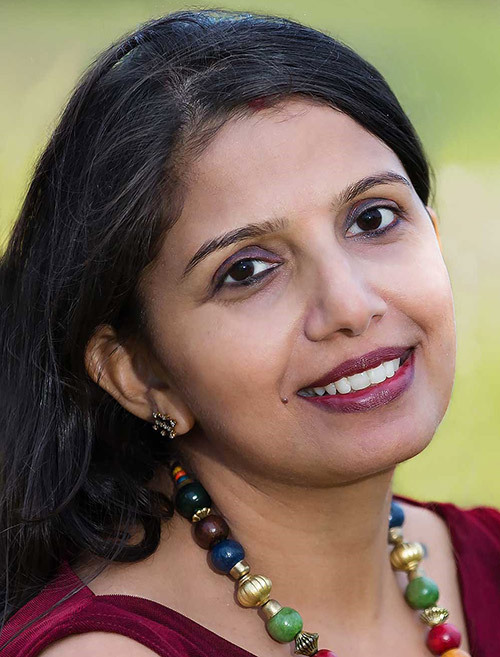 Vaidya Meenakshi Gupta, an Ayurveda Vaidya, Founder, Director of AyurRoots wellness center in DFW area and Texas institute of Ayurveda, Plano Texas. She is a Trainer and teacher of international repute, and has pursued her MD in Ayurveda from the Apex Learning institute, The National Institute of Ayurveda, Jaipur, India. She has been practicing Ayurveda for the last 20 years.She knows first-hand what a difference it can make on one’s wellness by simply understanding an individual’s unique body type and making small simple changes to one’s diet and lifestyle. She addresses the root cause of an individual’s imbalance using evidence-based science along with diet and lifestyle changes to help regain and maintain optimal health. She integrates Ayurveda principles with Ayurvedic diet and life styles in her daily practice. Vaidya Meenakshi has more than 20 years of extensive international experience in design & delivery of Ayurveda courses as Ayurveda Cosmetology, Ayurveda Herbology, Medical Yoga, Panchakarma therapy. She organizes regular workshops & courses on various topics of Ayurveda, training workshops for hands on training in Panchakarma courses. She has more than 5 years of extensive teaching experience at Ayurveda Colleges in India, and more than 12 years of extensive teaching experience in USA and has 20 years of clinical experience with Ayurvedic herbs & Panchakarma. Vaidya Meenakshi has done intense 3 years of clinical research on Ayurvedic herbs in Enuresis & literacy research on ADHD, Learning Disabilities in Children. The research experience includes literacy research as well as clinical trials with Ayurvedic herbs on Enuresis. She has authored several papers and writes regular column in several e magazines, health magazines along with various Radio talks & newspaper articles. She is member of the fellowship Board of the Association of Ayurvedic Professionals of North America (AAPNA) and NAMA. She is a board member of Research Method committee for council for Ayurveda Research .She is Senior Editor of Journal of Ayurveda and Holistic Medicine (JAHM). And ex-coeditor of Ayurveda Mantra Magazine.